An innovative design for the best of both worlds. The JetSlide allows you to easily switch between playing slide licks and playing chords and solos without missing a beat. 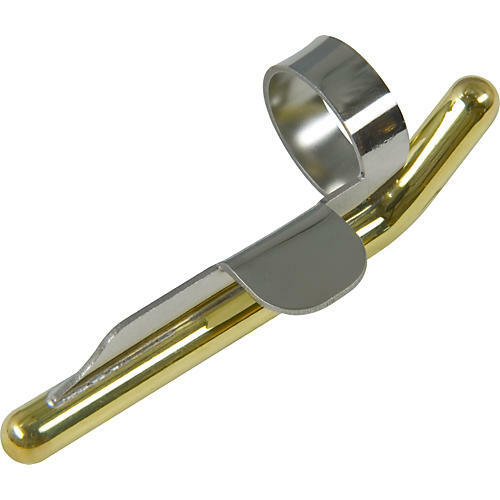 Worn on the ring finger, the slide bar rests between the ring and little fingers. This stabilizes the slide while it is being used and helps it fall out of the way when the finger tab is released. Easy to control, most guitarists will master it within minutes! Choose the ring size closest to yours. Each size can be opened up to the next larger size. If you wear a half size, choose the next size up.